20-year old Giorgi Kudukhasvili hails from The Republic of Georgia, arriving to the United States just two years ago, yet he already holds an undefeated mixed martial arts record of 4-0 as an amateur and 1-0 as a pro. His first fight was just a year and a half ago when he was 19 years old. 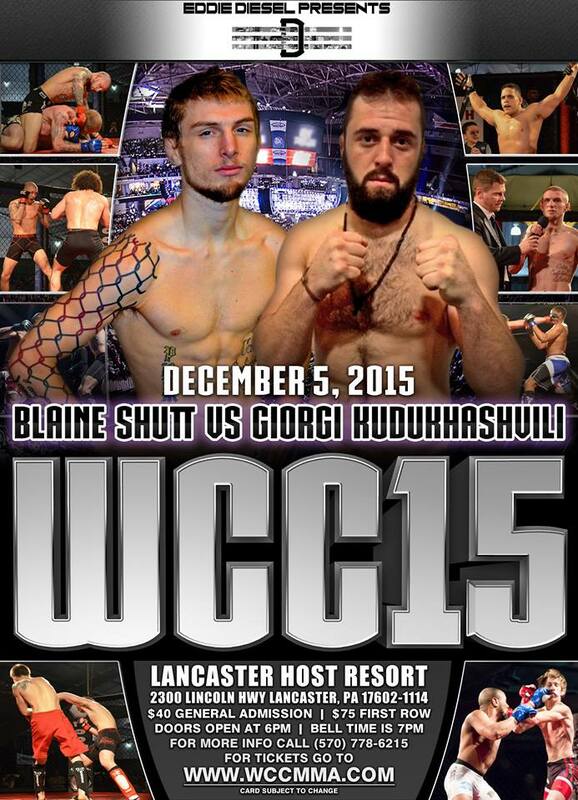 Kudukshasvili looks to earn his second win when he faces a very tough and gritty Blaine “The Shuttdown” Shutt on December 5 at World Cagefighting Championships 15 at the Lancaster Host in Lancaster, Pennsylvania. We interviewed his opponent, Blaine Shutt, just a few days ago. Here is that story. Today, we interviewed Kudukhasvili through his interpreter, Tengo Seppy of Mutant MMA. Kudukhasvili has been training since he was 15 years old in all areas of mixed martial arts and is also the Judo coach at Mutant MMA. Now, just five years later he faces his toughest opponent yet. Let’s see the Georgia native’s mindset going into this fight. MyMMANews – Giorgi is undefeated both as an amateur and now as a pro. What does he attribute his success to? Where is he training? MyMMANews – What does he know about his opponent, Blaine Shutt, and what will he do to defeat him? MyMMANews – In our interview with Blaine, he said that “Wrestling beats Sambo every day of the week.” What is Giorgi’s response? MyMMANews – With a win over Blaine, where does Giorgi go from there? MyMMANews – Being from New York where mixed martial arts are still not sanctioned legally for professional bouts, has Giorgi ever competed in any bouts there and if so, or not, what does he think about the current state of MMA in his home state? The winner of this bout could potentially be the first ever WCC flyweight champion. Keep your eyes open and don’t blink. WCC 15 takes place at the Lancaster Host Resort, 2300 Lincoln Highway, Lancaster PA. Doors open at 6 p.m. with first fight at 7 p.m., on December 5.